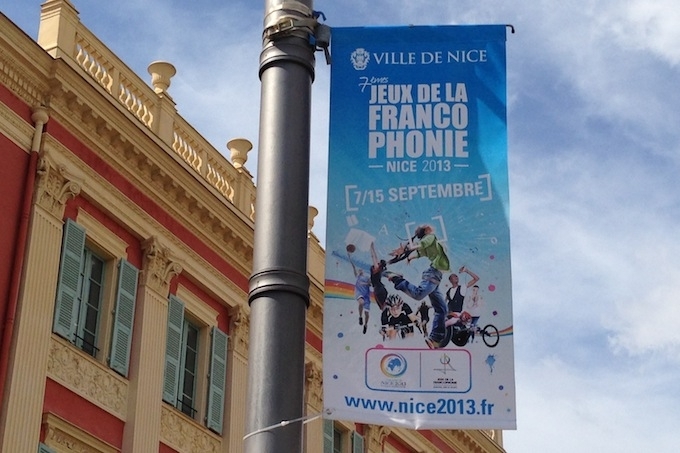 The final touches are being put in place as Nice gets ready to host the 2013 edition of les Jeux de la Francophonie, which start this weekend. Place Masséna has been a hive of activity over the last few days, with preparations underway for the opening ceremony of the Jeux de la Francophonie, which takes place there tomorrow night, Saturday, 7th September from 7pm. The games are a celebration of all things French, and this is only the second time in the 24 year history that the event has been hosted in the Hexagone. There are myriad events taking places in a variety of venues throughout the city, and admission to all events is free. You do need to reserve your place in advance though. The games run until Sunday, 15th September, with the closing ceremony taking place in the Stade Charles Ehrmann from 8pm that night.